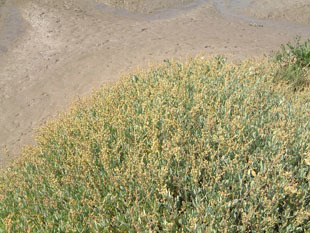 It also grows on rocky shores and cliffs in the West. 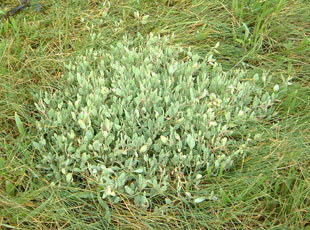 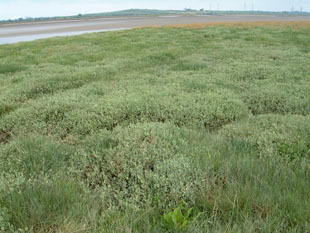 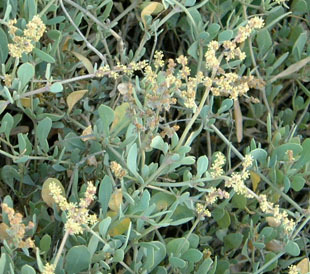 It is a native, clump-forming shrub growing up to 1m. 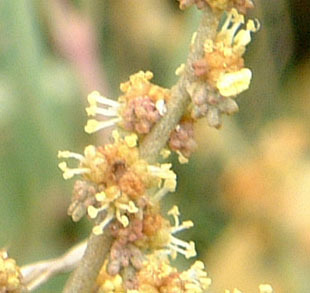 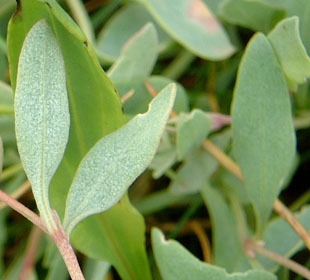 The leaves are up to 1cm long, light grey and fleshy.